For SMEs, sound risk management via credit vetting is not only advisable, it is absolutely essential. Wasting precious time and resources chasing down debtors for money is not only undesirable for any business, it can be downright destructive. The good news is, there is a way to avoid this – and it is inexpensive and painless. Two words: credit check. If you are in business, you will know that cash flow is king. This is especially true in the in the small to medium enterprise (SME) environment, where finances are particularly tight. Clients that default on payments can – and inevitably do – seriously jeapordise the success of your company. A foolproof way to protect your business – and ultimately boost its financial fitness – is through consistent credit vetting. Credit vetting is simply the process of affirming the credit worthiness of customers in terms of financials. Checking the credit status of your clients greatly minimises uncertainty around whether your invoices will be paid, as it provides an overview of their credit rating and reveals whether there are any judgements against them, or whether they have defaulted on payments in the past. According to Leon van der Merwe, senior business development manager at customer communications firm PBSA, the percentage of small simply overlooking this critical process is staggering. A detailed credit application document with the correct capture information, credit vetting consent and related terms of agreement will protect the financial wellbeing of your organisation, he adds. All of this can be easily accessed via pbVerify, a PBSA product that offers a user-friendly online credit vetting service. Specifically for small to medium sized businesses, pbVerify is connected to all major credit bureaux and credit data providers and is credible and accurate. “Neglecting this crucial step towards managing a successful business can cost you profoundly. Having an overview of the credit worthiness of potential customers, on the other hand, will help you make better decisions, in turn saving you time, trouble and money,” concludes Van der Merwe. Are cash-strapped consumers affecting your business’s credit risk? Whether you earn a salary, run a business or are in charge of risk management services for your company – you probably know that people are increasingly strapped for cash. Even though the dreaded January has passed (where people are usually a bit more broke than usual thanks to over-spending during the holiday season), it seems like many South Africans are still struggling to keep their heads above water. Why? According to the latest TransUnion Consumer Credit Index (CCI), consumer credit health deteriorated at a slower pace in the fouth quarter of 2013 than in the previous four quarters, but it is still under pressure. This, coupled with rising food and petrol prices (as well as the hike in interest rates that was announced towards the end of January), means it’s not surprising that people are struggling to pay their bills. 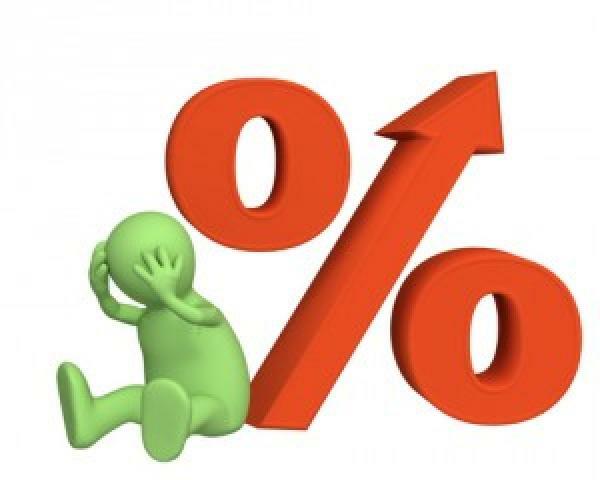 “Unsecured loan approval rates have moderated, indicating that credit grantors are generally applying a more conservative approach to mitigate their risk and have, for now at least, been able to stabilise their loan defaults. Much will depend on whether overall economic growth and pressures in the job market stabilise in 2014, and this is far from certain at this point,” commented Transunion CEO, Geoff Miller. In order to minimize your business’ financial risk, you need to know exactly who you’re dealing with before you process a transaction or extend a line of credit, explains Leon van der Merwe, Business Development Manager at local credit check company pbVerify. “Fin24 recently reported that in aggregate, consumers haven’t been able to reduce their credit card utilisation since 2010. If your company relies on payments from South African consumers – which most do – it would be wise to invest in a fool-proof ID verification and online credit check tool so that your employees can make sure they are dealing with clients that would be able to honour their commitment of repaying any outstanding debt, fees or bills to your company,” explained van der Merwe. pbVerify’s online credit check system allows you to know your customer by giving you 24.7 access to current Consumer and Business credit information. Whether you need to verify the identities of consumers, do background credit checks on consumers and/or businesses, verify company and director registration detail, verify VAT registrations, verify Deeds information on properties or need to do pre-employment and academic background verifications, pbVerify does it all. The best part is that pbVerify is one of the most cost-effective solutions in South Africa, giving you the option to only pay for what you use (as well as the ability to process bulk consumer traces).